DANA POINT — County leaders swiftly approved a dredging plan for Dana Point Harbor late last month. The exact start of a long-awaited harbor revitalization plan, however, has not yet been confirmed. County officials predicted earlier this year landside and waterside construction work at Dana Point Harbor could be underway by September. Very little to no public information about the status of the harbor’s revitalization has been made available in the past few months. Former Dana Point mayor and current supervisor Lisa Bartlett confirmed a start date for construction has not yet been set but more information could be available in about a month. The Board of Supervisors did however unanimously approve plans, specifications and bid documents for a planned maintenance dredging project of the harbor at its Aug. 24 meeting. 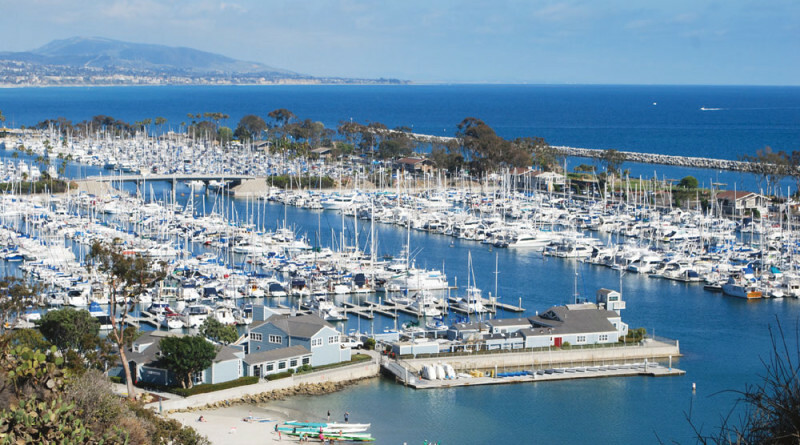 “Approval of the plans, specifications, and bid documents and authorizing the Clerk of the Board to advertise the Dana Point Harbor Maintenance Dredging Project will allow for the continued operation of the harbor through the clearing of sediment build-up in navigation channels to improve boating safety and provide much needed beach replenishment to two local county beaches,” county staff stated in a report to supervisors. Dredging would likely begin in November and continue through February 2016. Any material considered not suitable for beach nourishment will be deposited into the Pacific Ocean, about 14 miles offshore. The dredging project must gain final approval from the California Coastal Commission. “Mitigation measures are included to minimize the impact, as much as possible, to the harbor community and users,” county staff said. County staff stated the budget for the dredging project is $3.9 million and would be covered by the Dana Point Harbor Tidelands Fund. It is unclear how the planned dredging project would coincide with revitalization plans, if at all. Boaters and the local community have been awaiting the harbor’s revitalization for nearly 20 years. Dana Point Harbor officially opened in 1971. Concept plans for a revitalized harbor were initially developed in 1997, though momentum for an updated waterfront did not pick up steam until 2003. The Orange County Board of Supervisors and Dana Point City Council both approved revitalization plans in 2006; supervisors also certified an Environmental Impact Report the same year. City and county leaders spent subsequent years seeking California Coastal Commission approval; the commission finally green lit revitalization plans in January. Dana Point approved an updated Coastal Development Permit application in November 2014, around the same time supervisors approved Dana Wharf tenant lease amendments. The harbor’s website, ocdph.com, provides a general overview of the planned revitalization. County officials occasionally post notices on the website; the most recent notice, posted Aug. 31, informed Dana Point residents and visitors of how to manage parking in and around the harbor during Labor Day weekend. Only three other notices were posted on the website during the summer: changes to recreational tuna regulations; traffic control on the Fourth of July; and, the kick-off of a PCH trolley. There were no harbor-related items on the Sept. 1 agenda for Dana Point’s City Council. The Log will continue to monitor the progress of Dana Point Harbor’s planned revitalization.